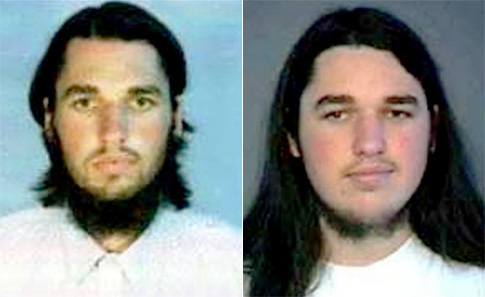 Adam Gadhan, the treasonous Californian Al Qaeda leader who has long been on Washington’s Most Wanted list, was nabbed in Pakistan Sunday – a huge victory in the battle against the terror network. After some confusion in the intial reports, the Associated Press quoted Pakistani officials confirming the arrest of Osama bin Laden’s mouthpiece. The Dawn, Karachi’s English-language newspaper, broke the news with a photo of a man being taken away with a bag on his head. The arrest was the latest in a series of successes in the new partnership between Pakistan’s once-balky intelligence services and the CIA. Iran’s hard-line President Mahmoud Ahmadinejad on Saturday called the official version of the Sept. 11 attacks a “big lie” used by the U.S. as an excuse for the war on terror, state media reported. Ahmadinejad’s comments, made during an address to Intelligence Ministry staff, come amid escalating tensions between the West and Tehran over its disputed nuclear program. They show that Iran has no intention of toning itself down even with tighter sanctions looming because of its refusal to halt uranium enrichment. Iran and Brazil appear likely to tie up in two areas of cooperation that could be game changers for the United States: banking and nuclear energy. As Iran faces escalating pressure over its nuclear program it is trying to circumvent threat the threat of tougher sanctions by setting up banking operations abroad to keep its assets safe and trade flowing. In Venezuela, Hugo Chavez with use situation this to take on an opportunity to slap it to Washington, and in Panama, where banking transparency is an ongoing concern, Iran has forged ties between local banks and Banco Internacional de Desarrollo CA, a subsidiary of Export Development Bank of Iran (EDBI), to give Iran indirect access to the US financial system. EDBI has been Blacklisted by the US Treasury Department supporting Iran’s nuclear weapons program and the Islamic Revolutionary Guard Corps directly. The Blacklist affords the United States both the ability for sanctions on Americans dealing with these banks and a pressure tool against foreign firms interested in keeping their US assets safe. Iran is working on a similar banking tactic in Brazil now according to sources close to the situation. 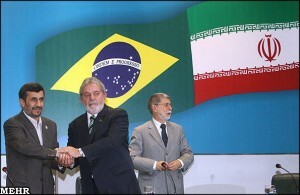 When Mr. Ahmadinejad paid a visit to Brazil in May 2009, Iranian EDBI and Brazilian banking officials drafted a memorandum of understanding (MOU) that on its surface is just a agreement to facilitate trade between the two countries. But facilitating banking cooperation could mean a lot of things, including the establishment of Iranian banks in Brazil to bypass the US sanctions efforts. It is believed that Brazil is setting up to direct most of its trade with Iran through the United Arab Emirates to avoid attracting negative attention, but Iranian banks on Brazilian soil would not be easy to hide and would not be ignored by the USA. 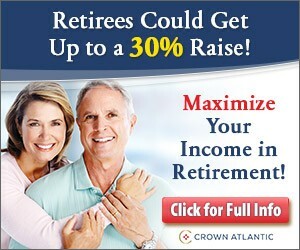 The hot water heater is leaking and the basement’s flooded, so there will be no blogging today. In the meantime, don’t waste your time with Alice in Wonderland. Why is this woman so angry? This is a portrait of an enraged woman. Enraged to the point where she exhibits this anger in public functions. 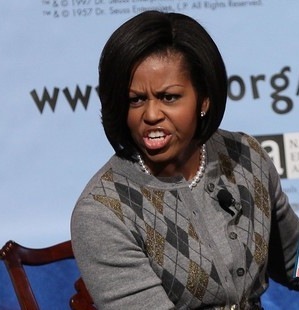 Certainly Michelle Obama’s anger is not due to that. Military tribunal for KSM in exchange for closing Gitmo? New York City may be spared Khalid Sheik Mohammed’s trail, but the country may get Gitmo detainees in the 48 states? What a deal! If Obama accepts the likely recommendation of his advisers, the White House may be able to secure from Congress the funding and legal authority it needs to close the U.S. military prison at Guantanamo Bay, Cuba, and replace it with a facility within the United States. Top Obama advisers have been negotiating with Sen. Lindsey O. Graham (R-S.C.) — a vocal critic of trying the Sept. 11 suspects in civilian court — in pursuit of a deal that would secure his help in closing Guantanamo. Graham has sought the creation a legal framework that would spell out how the government would detain and try future captives, but an administration official warned that a “grand bargain” is not likely in the immediate future. The official, also speaking on the condition of anonymity, said the talks with Graham have been mostly about “limited issues” involving the Mohammed trial and the future of Guantanamo. But given that the plan is still to bring them into the US, how are they going to avoid the civilian courts? Once they come into the country, their lawyers will go hog wild. Add to that that some of their former representation now works at DOJ, how this doesn't end up looking like a colossal circus is above my pay grade. Senator Graham and others will tell you such an outcome will be a great victory for national security conservatives who think terrorists should be tried by commission. Don’t buy it. The deal would be a great victory for the terrorists. As I argued here, it would significantly increase the threat to U.S. military bases and geometrically increase the likelihood that federal judges will order that trained terrorists be released in the United States. There is no excuse for taking on these risks given that Gitmo is a top-flight, completely secure facility. It makes no sense to horse-trade when Obama was being pushed toward military commissions by reality. Proponents will call frame the compromise floated by the Post as a triumph for bipartisanship. In reality, it will be a defeat for national defense. 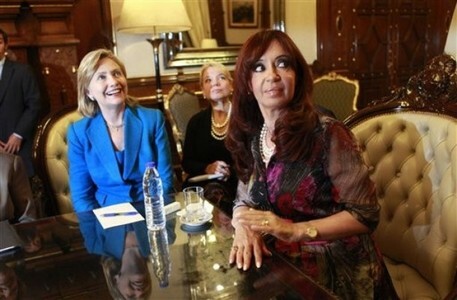 My latest article, Argentina’s Angle, is up at Real Clear World. A Spanish judge on Monday charged that Venezuela plotted to kill Colombia President Álvaro Uribe, collaborating with rebel groups ETA and FARC to kill other political officials as well. The story in headlines, yet, ignored by American mainstream media. Welcome, Power Line and Hot Air readers.